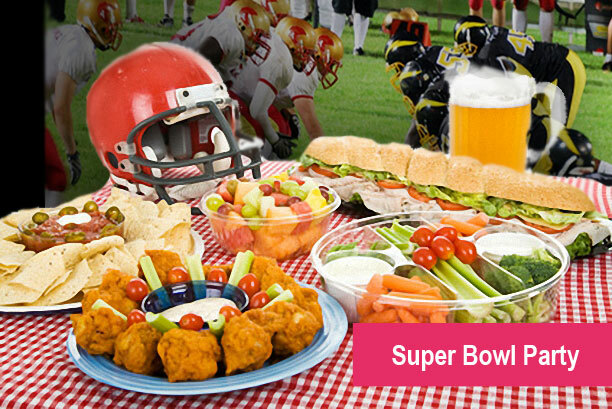 The answer to each rebus in this printable Super Bowl picture puzzle game is the name of a winning Super Bowl coach or MVP player. How many names can you correctly identify? Note: Actual printable is NOT blurred. 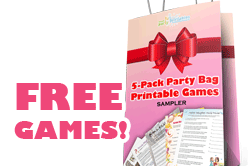 Let your party guests play by themselves or in teams. 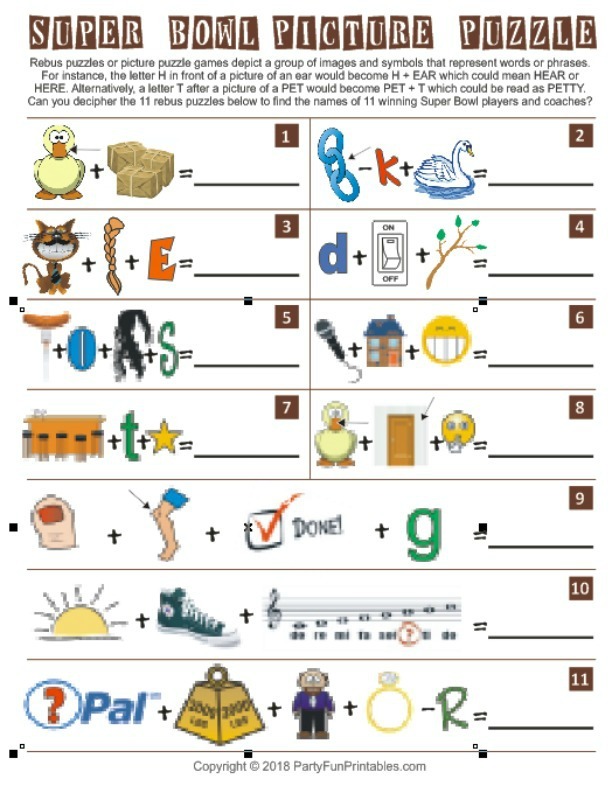 Each player (or team of players) gets one sheet with 11 rebus picture puzzles on it. 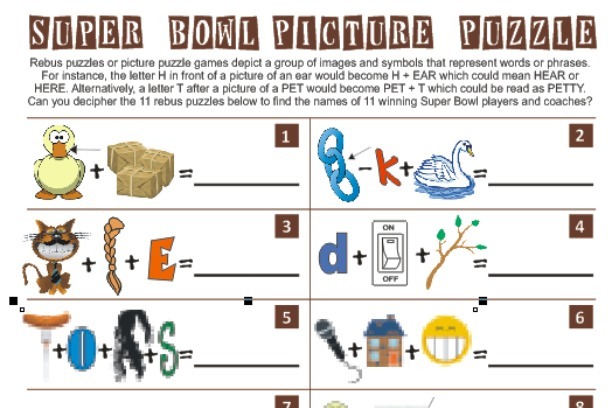 Each of these picture puzzles represents the name of a winning Super Bowl coach or player. Participants determine what name each rebus represents. Set a time limit of 3-5 minutes or play till one person or team gets all the answers right.The player(s) with the most correct names or the player(s) who guesses all of the names correctly first WINS!